The survey by the Office of the Insurance Commissioner is the first attempt to quantify quake coverage in the state. 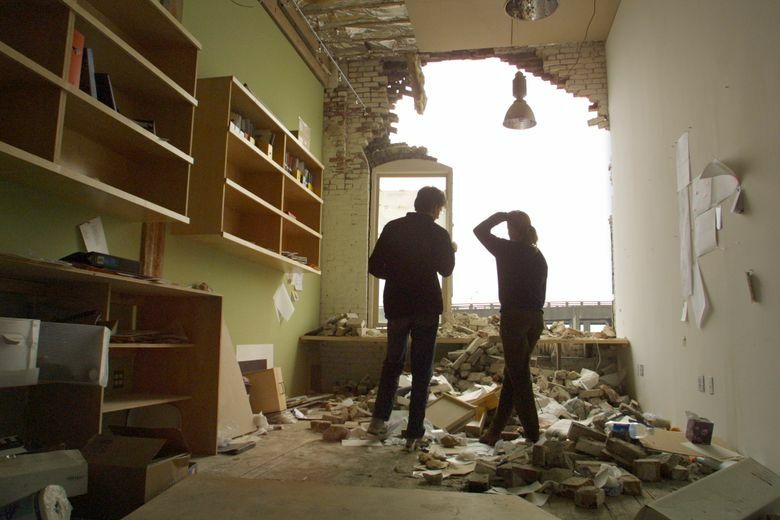 Washington has the second-highest earthquake risk in the nation, but a new survey says only 11.3 percent of homeowners have earthquake insurance. The report, from the Washington Office of the Insurance Commissioner (OIC), found that residential coverage is slightly higher — about 13.8 percent — on the west side of the state where the earthquake risk is higher. East of the Cascades, about 1.7 percent of homes are covered. The coverage rate for commercial properties statewide is 43.2 percent. OIC’s survey follows a 2016 Seattle Times report about soaring earthquake-insurance premiums in which Insurance Commissioner Mike Kreidler acknowledged that the state had never tried to determine the prevalence of quake coverage. Since then, Kreidler’s office queried insurers and got responses from 240. The data collected represents more than 80 percent of the state’s total quake-insurance market. “Insurance coverage, of both residential and commercial property, is a key component to recovery from an earthquake,” the report says. Washington is vulnerable to some of the planet’s most powerful subduction-zone earthquakes and tsunamis, as well as quakes on shallow faults like the one that runs under Seattle. The more people who hold earthquake insurance, the lower the financial hit from a major quake and the quicker the region will be able to bounce back. The survey found that earthquake insurance is readily available in Washington. “Our market is robust, with many companies offering policies,” the report concludes. Yet it also notes that the market is dominated by a few insurance companies. Just two companies account for more than half of all residential policies — and exposure — in the state, the report says, without naming them. State Farm is the state’s largest licensed provider of earthquake coverage, according to 2016 state data. The market for commercial insurance is also highly concentrated. One insurance company’s policies make up 52 percent of the commercial property exposure, according to the report. The company, which also wasn’t named, is what’s known as a “surplus lines” insurer — companies that aren’t licensed by the state. The report doesn’t include any information about the cost of earthquake insurance but says deductibles generally range between 10 and 15 percent of a home’s value. However, much of the coverage is for more expensive homes, indicating that owners of more modest dwellings may not be able to afford earthquake insurance. Earthquake premiums in Washington increased almost 60 percent between 2004 and 2016, according to data from the National Association of Insurance Commissioners. Standard homeowners’ policies do not include damage from earthquakes, just as they generally do not cover flood damage. But while residents in many flood-prone areas are required to have coverage — much of which is provided through a federal insurance pool — there is no similar requirement or federal program for quake insurance. Washington’s highest coverage rate is in Thurston County, where 18.1 percent of homes have earthquake insurance. Clark and Kitsap counties are next, with 16.4 percent and 16 percent, respectively. King County’s coverage rate is 15.7 percent. In California, the state with the country’s highest earthquake risk, about 15 percent of homeowners carried quake coverage as of 2016, according to the California Department of Insurance. Most of the policies are issued through the California Earthquake Authority, a nonprofit partly funded by insurers that has substantially cut premiums. In Oregon, about 19 percent of homeowners reported having coverage in a 2014 survey.